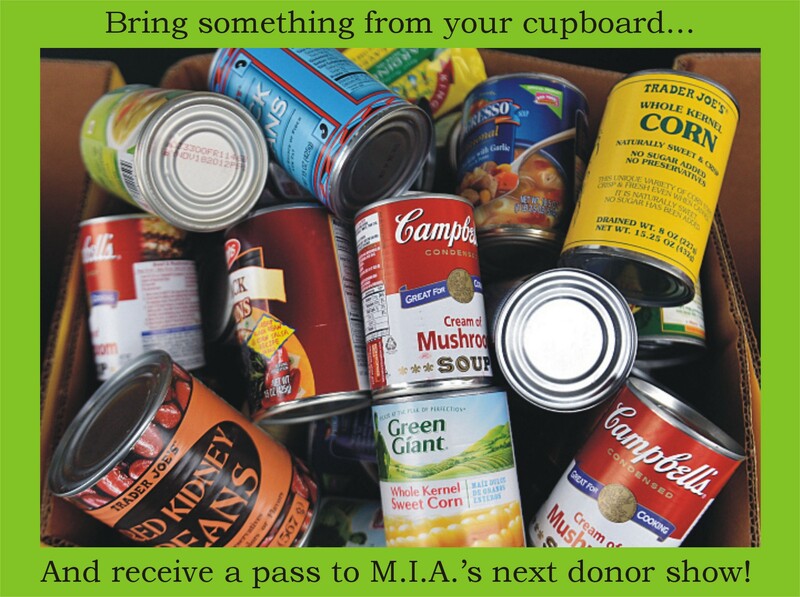 Bring a can of food to the Musicians In Action stage at the 45th annual People’s Fair and you’ll receive a pass to M.I.A.’s next donor thank you show! Our stage will be located just south of 14th and Broadway. The food drive is in support of the Gathering Place, Denver’s only day shelter for women and children experiencing poverty and homelessness. To learn more, visit TGPDenver.org and thank you for your support!